Fully licenced Pool and Snooker Bar with a dedicated Bandroom offering live music. The venue is available for celebrations, functions and events. 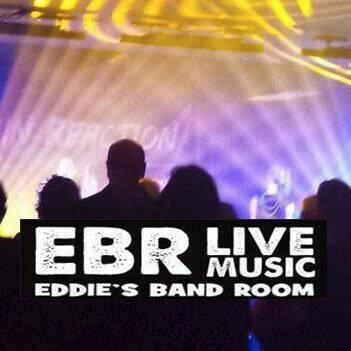 We have a fully fitted Bandroom with a concert PA and Lighting. We have a capacity of 200 patrons and are a venue for hire, Live Music is offered every Friday Saturday and Sunday Night. Open 7 days from 3pm till late, the venue offers the latest video and touch screen games, pinball machines, big screen plasma TV's, heated outdoor beer garden for smokers, video juke box, ATM facilities, disabled access, a wide range of food from our kitchen, variety of coffees, tap beer, cocktails and more. Eddies was established in the bayside suburb of Moorabbin over 24 years ago and remains one of the areas most iconic venues, having hosted birthdays, engagements, work functions and even wedding photos. We are committed to all cue sport participants, whether they are tournament players, beginners or just mates out for a social game.